(Tokyo) – Temperatures in Japan have hit a record high, with officials issuing a fresh warning to stay safe. Japan has for days been in the grip of a deadly heatwave, although the numbers reported killed vary widely from 15 to as high as 40. On Monday, the thermometer peaked at 41.1C (106F) in Kumagaya, near Tokyo, breaking the previous national record of 41C from 2013. 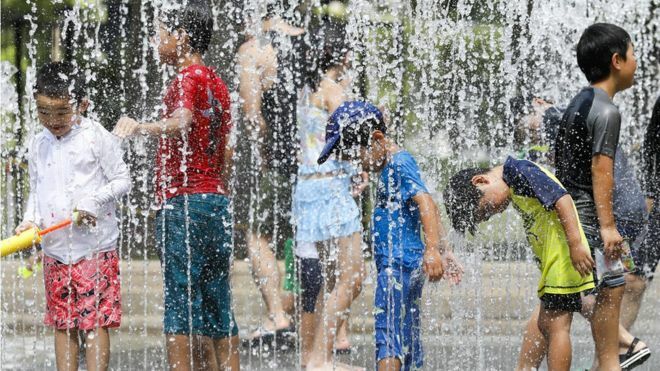 More than a dozen cities have seen temperatures of about 40C. Japan’s disaster management agency urged people to stay in air-conditioned spaces, drink water and rest to prevent heat exhaustion. Already this summer, more than 10,000 people have been taken to hospital as a result of the heat, according to the country’s Kyodo news agency.